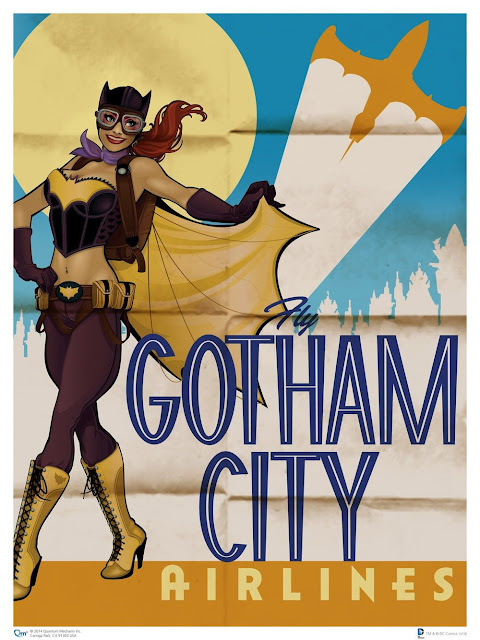 She's Fantastic: DC Bombshells - BATGIRL! I love Batgirl. She is one of my longest-lasting comic book infatuations (right behind Catwoman). And she was the catalyst that made me really boil down and analyze what kind of characters I am drawn to - that being female versions of established male characters. It's easy to view this as reductive and almost following an "Adam's rib" type origin, but I have always seen it as an interesting gender-swap experiment where extremely popular characters are altered (improved) by applying feminine traits and principles. The majority of female heroes fit this mold actually, but Batgirl will always be my baseline example. These Bombshells designs by Ant Lucia are extremely popular. It took me a long time to warm up to them personally, but now I'm officially hooked. 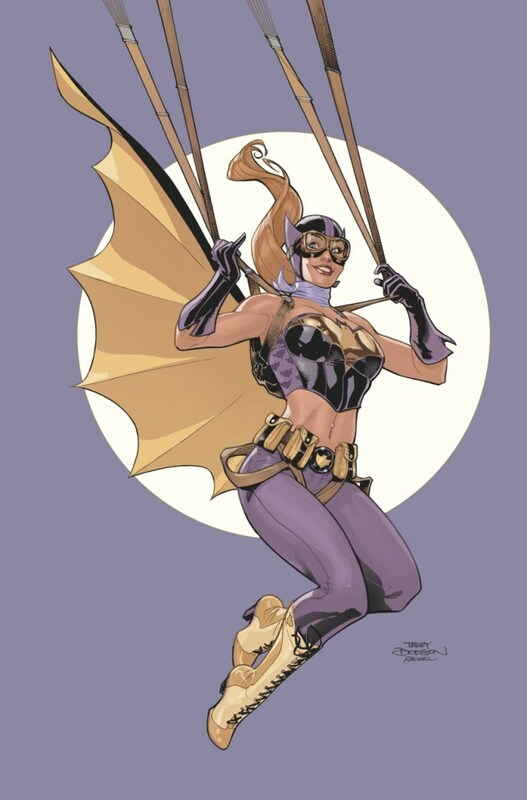 Of all the designs however, I must say that one of my least favorites is the Batgirl paratrooper look. It's not horrible or anything, just not my favorite. I'm just not a huge fan of a goggles-and-bare-midriff combo I guess. Let's check out the Bombshells Batgirl below! So this review will be a little different than my average post. I was really impatient and felt the urge to customize her almost immediately out of the package. Only the next three photos are the unaltered original figure. I felt that she looked too surprised and my figure had sloppy lips that were painted onto her teeth (as well as teeth on her lips). Plus I think her goggles act like magnifying glasses and make her look insanely goofy. Let me know what you think (it's very very possible I'm just overprotective of this character). Here are her goggles on their own. Mine actually have streaks of gold paint on the lenses that I was unable to remove. So all photos from this point on have a few touch-ups. Three to be exact. 1) I repainted her lip lines to not be so sloppy. 2) I added a dark streak to each upper eyelid to cut down on her surprised look. And 3) I painted the inside of her goggles gold so they don't magnify her eyes. I should note that her hair is glued in position. Some of the prototypes shown at conventions showed her hair blowing the opposite direction, but that ponytail is glued on tight with no swivel at all. This photo below is using the figure stand that came with the DC Icons Supergirl. Batgirl's backpack fits onto her back with two pegs (the shoulder-straps are sculpted to her torso and unattached to the bag itself). Her bag opens and her cape fastens inside with a small peg. The cape is secured in a straight-down position, but if you leave the bag flap open, the cape can swivel side to side on its peg. Overall I have two sculptural wishes for this figure. 1) I wish her hair was bigger and more dynamic. And 2) I also wish the cape was larger and more dynamic. I think these improvements would make her seem a lot more heroic and Babs-like. 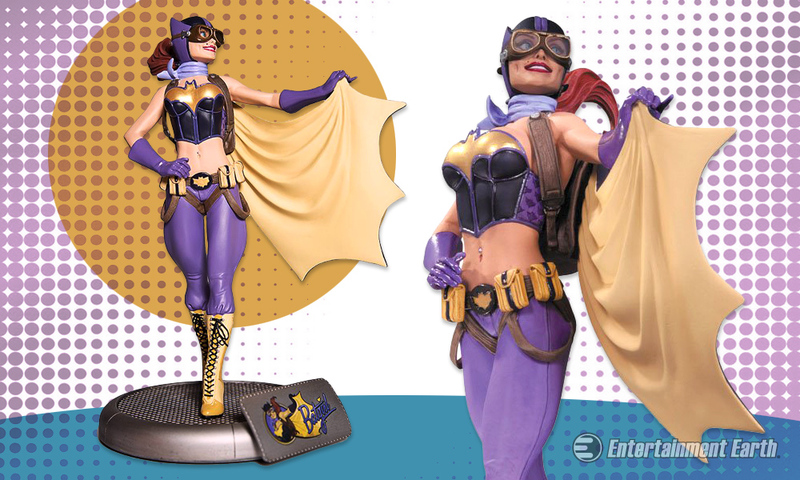 Here are some images of her 2014 Bombshells Statue. 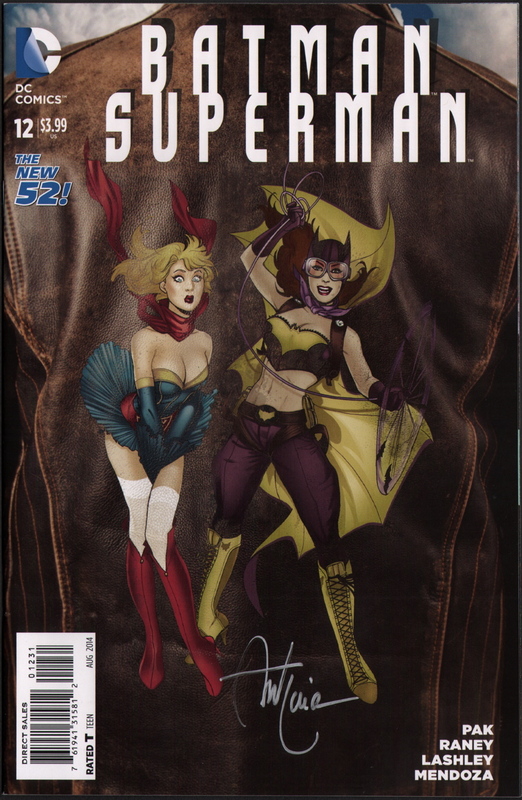 Here are the two recent aviatrix Bombshells, Hawkgirl and Batgirl. And with my two favorites from Series 01: Batwoman and Poison Ivy. Great improvements! You can pop round my house anytime and have a go at mine, as I'm too scared to make it worse. Now, I got all four of these second wave. I was most looking forward to Mera, but she ended being the worse as she cannot lift her head at all, plus my foot broke. My favourite hands down is Katana, but I'm biased when it comes to Japanese looks etc. But my biggest surprise was how much I liked Hawkgirl and Batgirl, thou I didn't love Batgirls' eyes either. I heard from two sources that series three has been cancelled, but cannot find any official news. Hope it's not true as I'm loving this series (and I also had zero interest on the concept to start with). Have you heard anything bout said cancellation? BBTS canceled my series 3 pre-order. Very disappointing. I love DC Collectibles, but it almost seems like they are moving away from action figures (I hope not though). Aw, shucks. I was looking forward to a Raven bombshell...oh well, I'll treasure the ones I got then. Thanx for info. I was so excited for this figure, but when I got it and found out they took away the thigh cuts, I was so disappointed. :( They were doing so well with this line.